Since the Oscar-winning film The Revenant and Leo’s brutal on-screen attack, bears have suddenly become a lot more exciting, but many North Eurasian and North American indigenous cultures are actually way ahead of us. These people have, in fact, been worshiping bears for centuries. 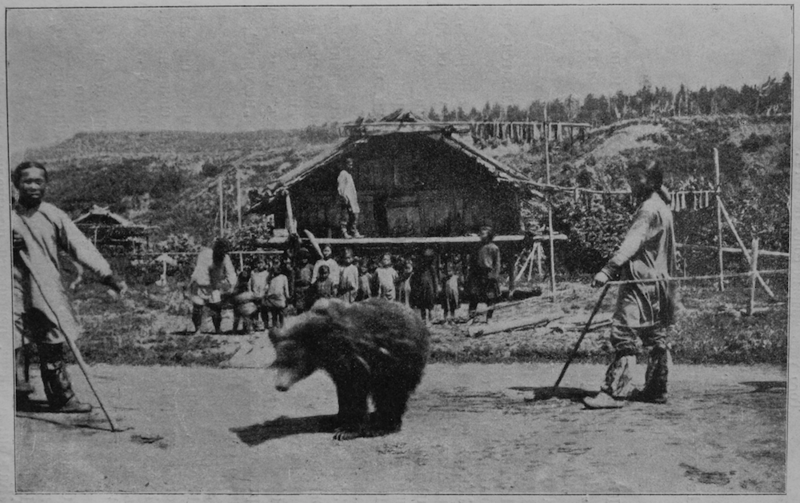 Bear cults were a common component in many cultures historically and still exist in many today. For ethnic religions in groups such as the Nivkh, the Finns, Ainu peoples of Japan, all across ancient Europe and in Native American culture, the bear was, and still is, a sacred and respected animal, with ceremonial worship traced as far back as the paleolithic period. Archaeological findings of buried bear remains uncovered the bones in unusual arrangements and placed in a way not naturally possible. Archaeologists and paleoanthropologists alike attribute the carefully placed arrangements to Homo neanderthalensis, as an integral part of what looks like a ritual ceremony. Yet, as often in paleoanthropology, the specimens are few and far between, and confident conclusions cannot easily be drawn. Some argue that if Neanderthals did worship bears, then evidence of such rituals would have been found in their camps and settlements, not just caves. They theorize that bears would have taken shelter in the caves from harsh conditions and may very well have died there. Prior to processes of Christianization in Finland, polytheistic Finnish paganism was widespread amongst indigenous Scandinavian cultures. Along with worshiping the principle God of thunder and sky, they also heavily worshiped and respected bears. In prehistoric, ancient and medieval Finland, the nature of day-to-day life meant hunting was heavily relied on for survival. Bears were vital and considered as sacred. The Finns not only believed that the bears came from the sky, but that they had the ability to reincarnate and were to be treated with the utmost respect. Such respect commanded a celebration whenever a bear was killed and eaten, known as Karhunpeijaiset – the purpose of which was to reincarnate the bear’s soul back into the forest. For the Nivkh peoples of Eastern Russia, their belief in Shamanism is central to their ceremonies surrounding the worshiping of bears. In the religious festivals, the Shamans lead and overshadow all festivities. The Nivkh believe that the bear is a sacred earthly manifestation of their ancestors and the gods, in material animal form. Bears are often captured by local women and raised in a corral, treating the bear as though it were a child. The bear festival then involves the bear dressed in a ceremonial costume of sorts and offered a feast so that the bear can it take back to the world of the gods. This is to show a level of benevolence among the clans. After the banquet, in an extensive ritual, the bear is killed and eaten, sending his spirit to the gods of the mountains. Historically, the bear festival was repressed significantly by the USSR. During the Soviet period, a number of religions were under threat in Russia as they undertook a policy of complete and forced secularization. For a small group of people called the Ainu, living on a few select islands in the Japanese archipelago, the bear also holds great importance. In their language, they call the bear kamui, which translates as God. 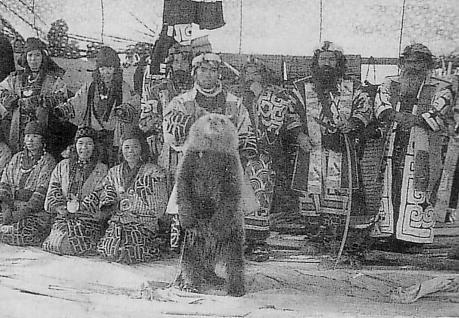 For the Ainu, a number of animals are considered gods, but the bear is above them all, supposedly as the head of the gods. Bears and other animals are held in such high esteem that the Ainu believe that when the gods decide to visit earth, they disguise themselves in the flesh and fur of the animal. Hence, they willingly and thankfully accept the bear as a gift to the home that the god chose to come to. Within Native American cultures, bears often feature in their mythology. For many, the bear symbolizes great strength and wisdom, as bears characteristically continue fighting even after being seriously injured. They are also often featured as a medical-type figure, playing a major role in a number of religious ceremonies. In Pueblo tribes, for example, bears are considered one of six directional guardians. Indigenous groups such as the Zuni believe the bears have the ability to heal, and they carve bears into rocks as a emblem of protection for the individual. Similarly, bear claws are used as a talisman for medical protection or warn as necklaces by warriors, bringing power and strength to the wearer. While the bear holds such great importance for these people, many ritual taboos exist around them. With regards to hunting, specific hunting seasons are organized around the mother bear’s reproductive seasons, in order to avoid killing mother bears and taking them away from their new born cubs. Some groups avoid speaking of the bear’s name outside certain ritual contexts or think of it as dangerous or disrespectful to insult bears. Some groups avoid eating bear meat altogether as it is considered too sacred for human consumption. Even today, the bear is a highly respected and significant icon in some Native American cultures.